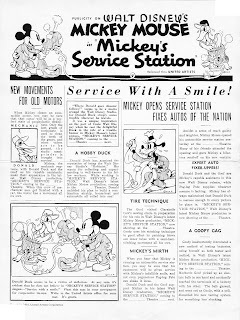 1935's MICKEY'S SERVICE STATION has got to be one of my favorite Mickey shorts along with THE BAND CONCERT, THE MAD DOCTOR and PLUTO'S JUDGEMENT DAY. 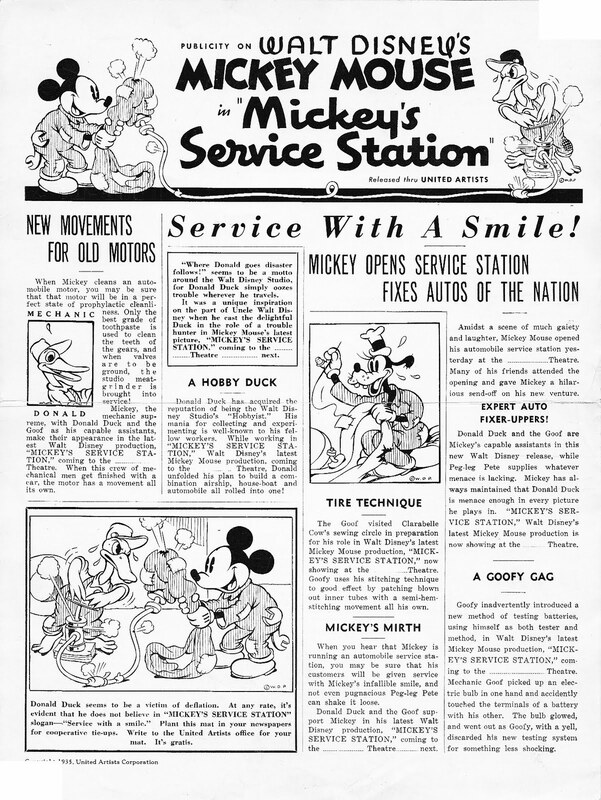 It is also the last Mickey to be produced in black and white. I recently purchased a few of the publicity flyers which were sent out to theater owners. 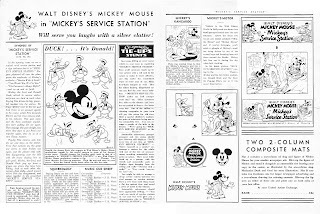 This one is for MICKEY'S SERVICE STATION, as you can see there were stories for the local newspapers and the opportunity to order posters and 8x10s to promote the film. 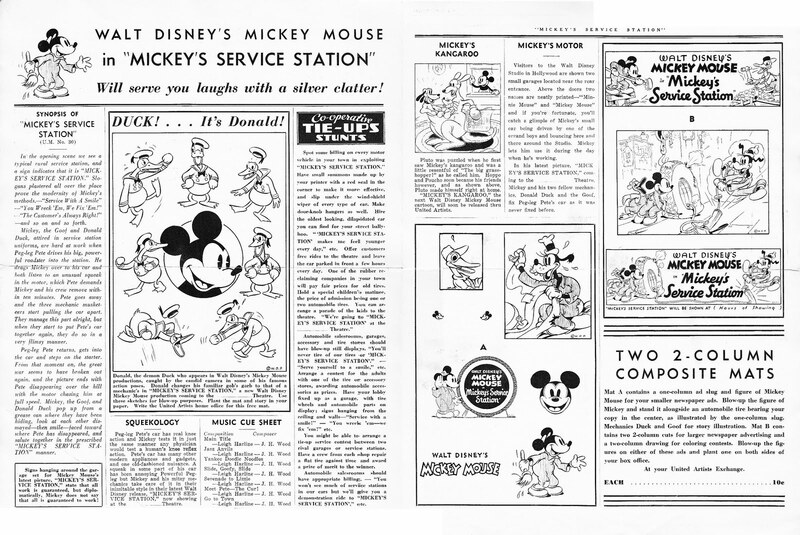 I think one could write about how Disney developed it's marketing machine. Here's an early glimpse. I've scanned as best as my A4 scanner can without damaging the aging paper, some minor pieces may be cut off. I'll post the other two in the coming weeks. The freshmen are determined to make a great success this year, and from the early results, we may conclude that their boasts and determination have not been asserted in vain. They are already taking part in the vim and excitement of high school life. Walter Disney, one of the newcomers, has displayed unusual artistic talent, and has become a Voice cartoonist . 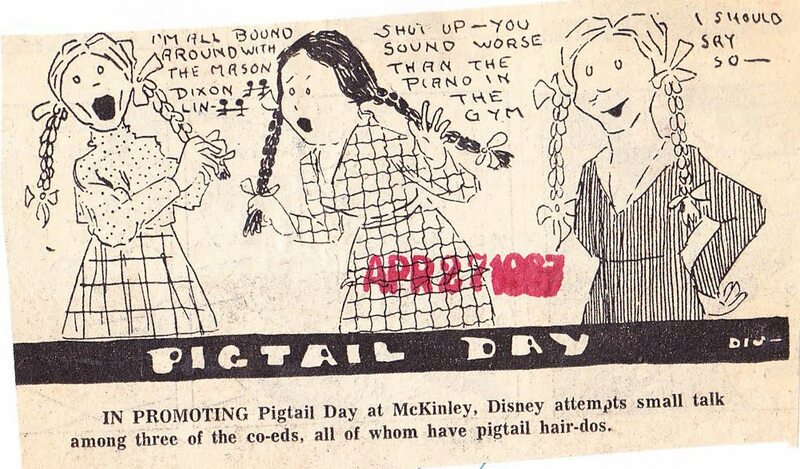 . .
And so Walt Disney saw his first public introduction in the McKinley High School magazine The Voice. Why do I bring that up? 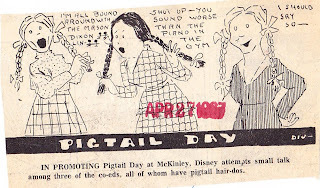 Well as you all know I'm a sucker for early Disney material and every now and then I still stumble across something I haven't seen before like the image below which I recently bought from the Chicago Tribune Photo Archive. 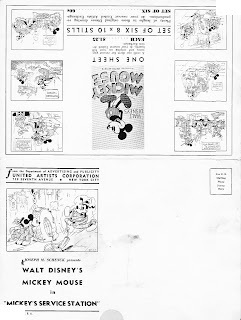 A photo of a page from The Voice which I imagine was about April/May 1918 considering Walt started drawing for the magazine in October 1917. 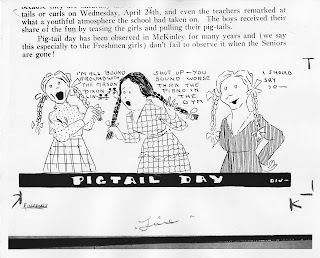 I find it interesting how Walt seems to be trying to emulate some of the cartoonists of his day, looking at the faces, the eyes in particular I'm reminded of George McManus' BRINGING UP FATHER strip which began in 1913. Walt would have probably been exposed to all the great strips of his day. 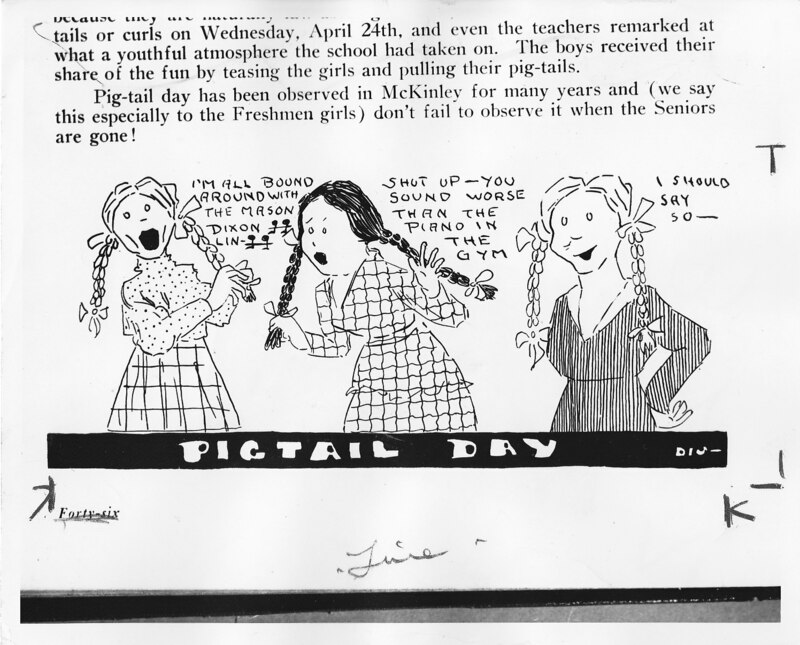 On the back of the photo is a sample of the printed article, I think dated April 27, 1937. I'd be curious to see the rest of the article.